Interested? Add the Free/$0 option to your cart and our Director of Personal Training will contact you to discuss your request and provide a custom quote. 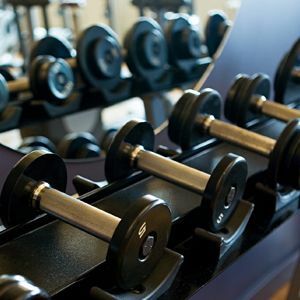 • Your choice of one or two 30-minute exercise sessions per week scheduled directly with your trainer. Need a set time or change weekly? – We can work with both! Need different options? – Our Director can help customize just for you! • Initial questionnaire and 15-minute phone or video consultation to determine the results you want to achieve. • Full fitness assessment conducted to determine your current overall fitness level. • Access to your trainer via text or email for questions and concerns. • Complimentary access to any of our ongoing group cardio and group strength training classes (space permitting), during your training period(s). *Your trainer will even keep note so (s)he can adjust your sessions based on participating in these. Combined value of over $500 in savings! Interested? Add the $0 option to your cart and our Director of Personal Training will contact you to discuss your request and provide a custom quote.